Maria, this pink tray cover is beautiful! Is the motif strawberries? You are so very talented. 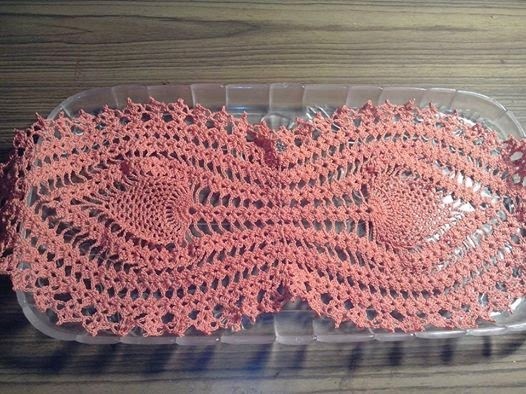 Hi Maria, lovely tray cover and I love the pink color. I think the motif is a peacock's feather ? sei bravissimaa sono diventata lettrice fissa del tuo blog, ti va di ricambiare? Truly beautiful, a real delight. Beautiful this tray cover!!!! Nice work! !